Holiday Schedule: The City Hall offices will be closing at noon on April 18, 2019 and closed on Friday, April 19, 2019, except for the City Secretary's office will be open between 9:00 AM to Noon for election duties, as required by the Election Law. City offices will resume their regular schedule hours on Monday, April 22, 2019. Early Voting will be conducted between April 22-30, 2019. Please click here to view the Notice of General Election which provides the Early Voting and Election Day hours and full list of polling locations. You may also click on the City Election page to view more Election information. Jamaica Beach Memorial Walkway: Want to purchase a Memorial Brick for the walkway at the City Park? All you need to do is click here to download an order form and return it along with payment to City Hall by the May 1, 2019 deadline (further instructions on form). Seeking Lifeguards & Swim Instructor(s): The City of Jamaica Beach is seeking Certified Lifeguards & Swim Instructor(s) for the 2019 Season. Must be flexible. Weekends & Holidays required. The city is willing to provide Lifeguard training to applicants that meet the prerequisites. To apply, please download/complete an Application for Employment and return to the Pool Supervisor, Emily Drake by e-mail: emm.drake@gmail.com or the City Secretary, Lupe Rushing by mail: 5264 Jamaica Beach, Jamaica Beach, TX 77554 or by e-mail at lrushing@ci.jamaicabeach.tx.us. Seeking Volunteers for Memorial Day Event: The City of Jamaica is seeking volunteers to organize the annual Memorial Day celebration. More than just an occasion for summer's first backyard BBQ, Memorial Day is an important holiday for our country and was established to honor all the men and women who have given their lives for the cause of freedom. This local event started 23 years ago as a community organized gathering. That said, we are seeking volunteers to participate in all phases of the process: planning, execution and clean-up. This honoring can only take place with help from our citizens. If you are interested, contact the City Secretary at (409) 737-1142 or cityadmin@ci.jamaicabeach.tx.us. Let's not end the tradition. Flood Insurance Discount: Great News – FEMA has recognized the floodplain management activities implemented by our community, which qualifies for a 5% discount in the premium cost of flood insurance for NFIP policies issued on or after October 1, 2018. This savings is a tangible result of the flood mitigation activities our community implemented to protect lives and reduce property damage. 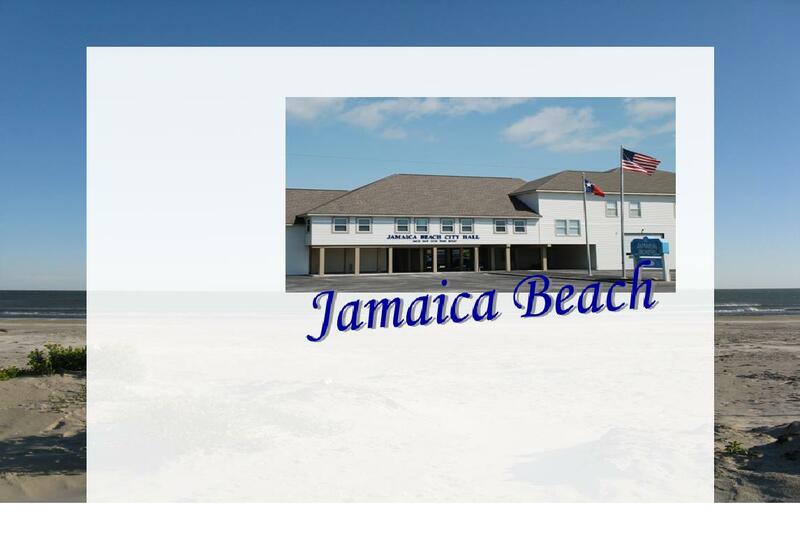 FY 2018-2019 Budget: The City of Jamaica Beach Council adopted the FY 2018-2019 Budgets during the Regular Called Meeting on Monday, September 17, 2018. To view a copy of budgets click on the following: General Fund Budget or Municipal Services Budget. 2018 Tax Year Property Tax Rate: A tax rate of $0.197135 per $100 of property valuation was adopted by the City of Jamaica Beach Council on Monday, September 17, 2018. The effective tax rate is the total tax rate needed to raise the same amount of property tax revenue for the City of Jamaica Beach from the same properties in both the 2017 tax year and the 2018 tax year. Click here to view a copy of the Tax Rate Ordinance levying Ad Valorem Taxes for the fiscal year beginning October 1, 2018. Go Green - Paperless Billing: Water Customers can now sign-up for Paperless Billing! Please visit the City of Jamaica Beach Online Services link to register. 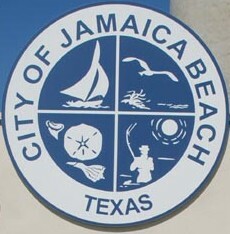 Official Facebook Page: The City of Jamaica Beach has created an Official Facebook Page for posting announcements of City Council meetings, events, committee and/or board notices; matters appearing on the Council Agendas; specific factual information concerning the city and/or policies; and city department notifications. Important Notice regarding the City's Facebook Page: The City of Jamaica Beach is not responsible for the content nor endorses any site which has a link from our FB page. 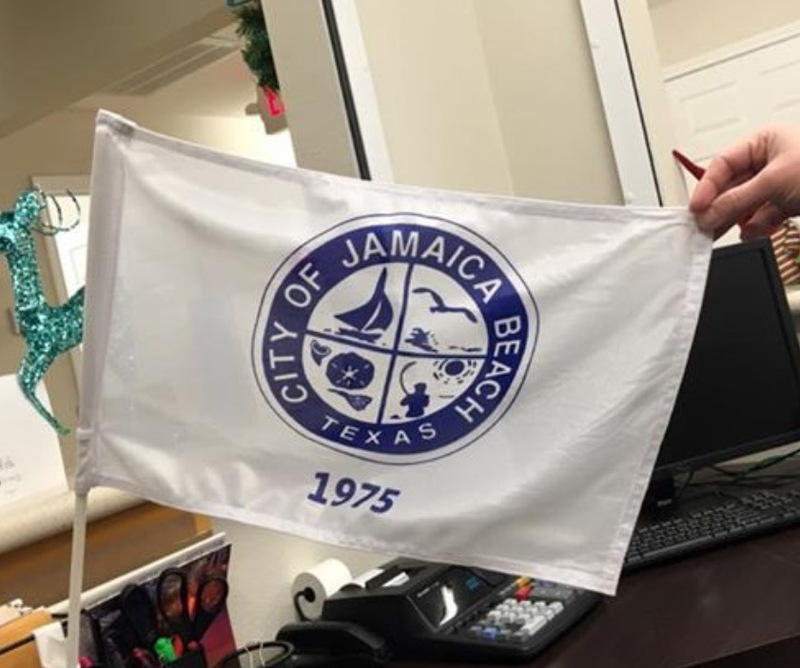 All content, comments and replies posted are subject to the Freedom of Information Act and all Texas Open Records laws; the City of Jamaica Beach reserves the right to remove any messages or postings. The City of Jamaica Beach reserves the right to restrict or remove any content that is deemed in violation of its policies or any applicable laws. Social Networking content or comments containing any of the following will not be allowed for posting: comments or material not topically related to the site or article being commented upon; profane, vulgar, offensive language or obscene content; content that promotes, fosters or perpetuates discrimination on the basis of race, creed, color, age, religion, gender, marital status, status with regard to public assistance, national origin, physical or mental disability, or sexual orientation; personal attacks, insults or threatening or harassing language; political or religious advocacy or commentary. Comments cannot serve electoral campaign purposes. Political messages will not be published except for announcements of city elections or voter encouragement campaigns; support or opposition for any ballot issue or candidate for office; and promotion or advertisement of any businesses or commercial enterprises, unless they are providing support to city services. Hotel Occupancy Tax (HOT) is imposed on the rental of a room or space costing $15.00 or more each day for State reporting and $2.00 or more each day for Local reporting. Any person leasing their house(s), or room in their house, as a Short Term Rental must collect the tax from their customers in the same way a hotel or motel collects the tax from their guests. The HOT rate in Jamaica Beach is 15% (6% to State and 9% to Local) of the cost of the room. Please visit the Texas Comptroller of Public Accounts website for more information and/or State reporting. Download the city's Hotel Occupancy Tax Form for Local reporting and remitting. Please file reports, even if no tax was collected, by due date to avoid State and Local penalties. 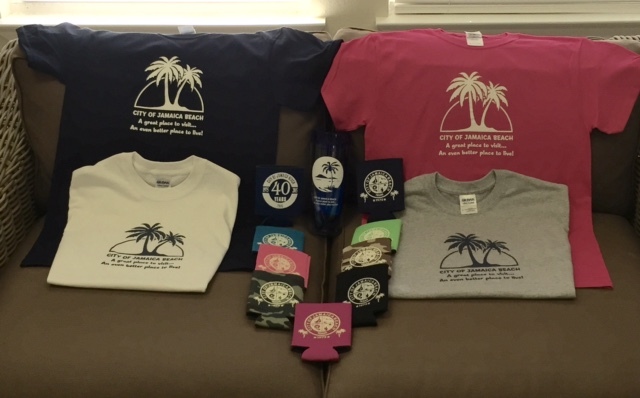 For Sale: The City of Jamaica Beach has "New" JB Flags, T-Shirts, Hot & Cold Tumblers, & 40th Anniversary Koozie for sale benefitting the Jamaica Beach Park Board!! 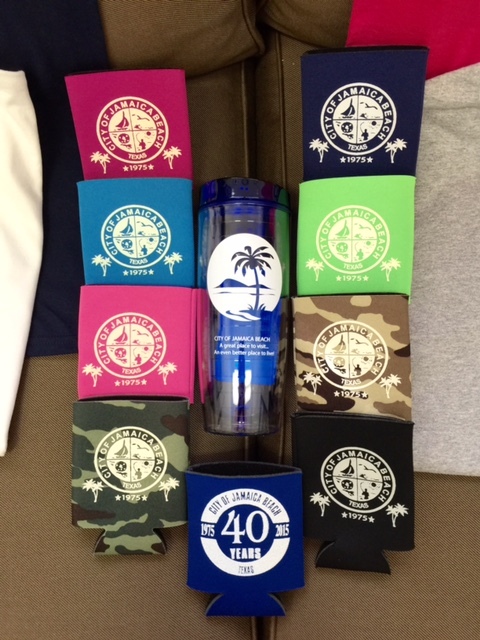 Golf Cart Flags: 1-$20, 2-$35 or 3-$45; Flags: $35; T-shirts: $15 each or 2-$25; Koozies: 1-$3, 2-$5 or 5-$10; 40th Anniversary Koozies: $1 each!! Items for sale at City Hall, Park Board Events, or City Pool (during operating Season). A great place to visit . . .
An even better place to live !